KELOWNA, BC, Aug. 16, 2018 /CNW/ – GTEC Holdings Ltd. (TSXV: GTEC) (OTC: GGTTF) (“GTEC” or the “Company”), is pleased to provide an update on its wholly owned subsidiary, Spectre Labs Inc. (“Spectre Labs” or “Spectre”). GTEC previously announced that it had acquired a warehouse located in Kelowna, B.C. for the purpose of submitting an application to the Office of Controlled Substances for a Dealer’s License. The site will be developed in a phased approach and will serve as a Good Manufacturing Practices (GMP) grade facility with extraction, formulation, compounding and export capabilities to support GTEC’s Licensed Producers and the global medical market. GTEC also intends to utilize this facility to manufacture edible products that are expected to be incorporated into Health Canada’s regulatory framework in 2019. Upon Health Canada approval of phase one, the facility will be capable of producing up to 24,500 grams of cannabis oil per day (equivalent to more than 8,500 kilograms per annum), with capacity to increase production through future phased development. Spectre Labs’ Acceptance of Application for a Controlled Drugs and Substances Dealer’s License was received by Health Canada on July 07, 2018 and accepted for review on July 17, 2018. From the time of receipt of a complete application, the Controlled Drugs Section commits to a service delivery standard of 180 business days for the issuance of a decision on an application for a new Dealer’s License for controlled substances. “We are excited to be making positive progress at Spectre, which will be a cornerstone facility within GTEC’s vertically integrated cannabis supply chain. Given the success and timeline of Zen Labs receiving its license in a timely manner, we remain confident that Spectre’s licensing process will reflect our regulatory team’s efforts.” stated Norton Singhavon, Chairman & CEO of GTEC. “The Spectre facility will allow us to compete in a broad range of value-added cannabis market segments”. GTEC was founded in 2017 to capitalize on opportunities in the nascent and rapidly growing legal cannabis industry. GTEC is focused on growing premium quality craft cannabis in purpose-built indoor facilities. The Company also has a number of retail cannabis initiatives in Western Canada. 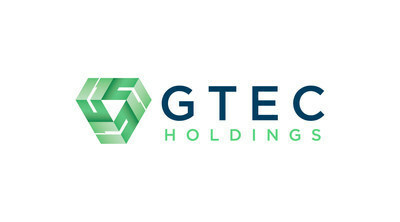 GTEC currently holds a 100% interest in GreenTec Bio-Pharmaceuticals Corp., Tumbleweed Farms Corp., Falcon Ridge Naturals Ltd., Alberta Craft Cannabis Inc., Grey Bruce Farms Inc., Zenalytic Laboratories Ltd. and Spectre Labs Inc. GTEC is a publicly-traded corporation based in Kelowna, British Columbia. The Company’s shares are listed on the TSX Venture Exchange and OTC Pink. The post GTEC Holdings, Ltd.’s (TSXV: GTEC) (OTC Pink: GGTTF) Extraction Facility on Track for 2019 appeared first on Spotlight Growth.